There are Christian books and teachings out there which say that the Greek word pistis is best translated as faithfulness or allegiance. But is eternal life gained by allegiance to Jesus? No. This is a gospel of good works, which is no gospel at all. 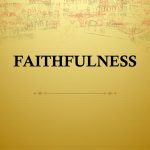 Indeed, I believe that there is not a single use of the Greek word pistis in the New Testament which is properly translated as faithfulness. 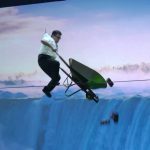 Have you ever heard the wheelbarrow tightrope walk over Niagara Falls as an illustration for faith? It is a terrible illustration, because it does not accurately portray what faith really is or how faith works. This post considers the illustration and defines faith from Scripture.